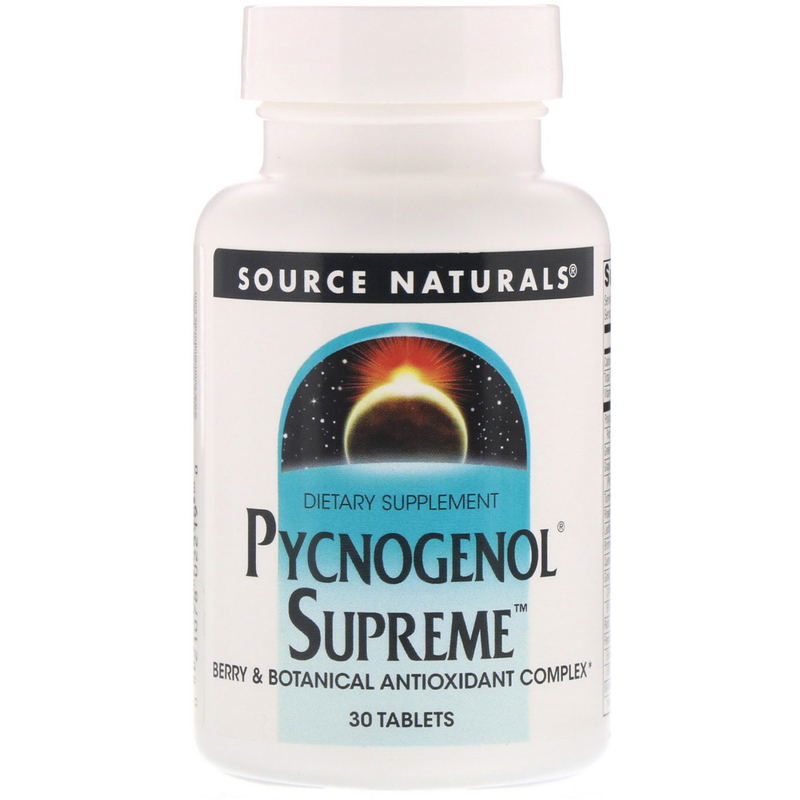 Pycnogenol Supreme is a power-packed antioxidant complex featuring Pycnogenol, a premium, scientifically researched pine bark extract. Silicified microcrystalline cellulose, stearic acid, modified cellulose gum, and silica. Do not use if you are pregnant, may become pregnant, breastfeeding, or taking anticoagulant drugs such as heparin or warfarin (Coumadin). 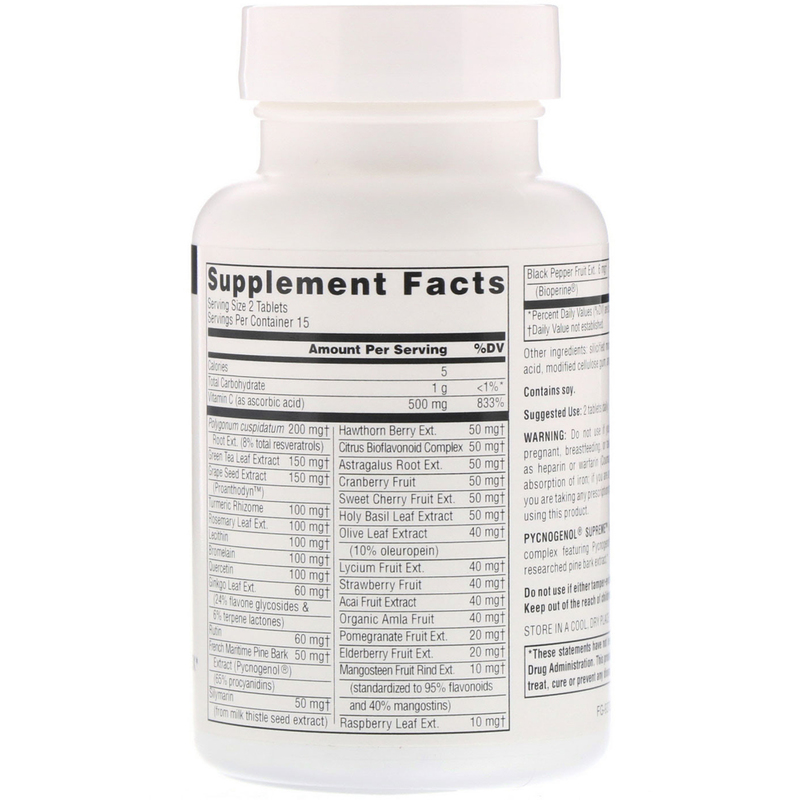 May interfere with the absorption of iron; if you are anemic, take between meals. If you are taking any prescription drug, consult a physician before using this product.